“A positive business impact on sales which has now led to many internal discussions on how best to benefit consistently across other products and manufacturers.” - Andy Holliday, Web Data Analyst, Ebuyer.com on the impact of ContentCast rich content. Enhancing your online HPE product pages just got easier with HPE’s expanded syndication services to support EMEA markets as of May 1, 2017. Accelerate shopper education, leverage the best possible positioning of product, and maximize awareness of key content with the help of ContentCast services. Sign up now from the Partner Ready Portal and start syndicating at no cost! 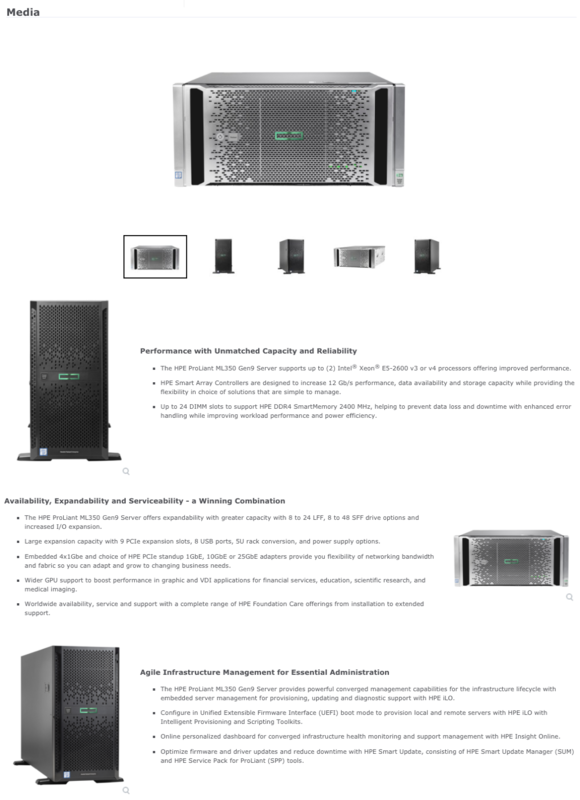 Inline Content across multiple HPE categories: Moonshot Systems, Servers, Networking, Rack & Power, Storage, Synergy and Service Support Options. Coverage for more than 180,000 SKUs across US and EMEA markets. Supported languages include English-US, English-CA, French-CA, French-FR, German, and Spanish. Support for LAR and APAC languages by May 31st. Place the inline content <div> higher up on your product page so it gets maximum visibility and impact. Based on a case study performed by CNET Content Solutions, product pages displaying rich inline content had a significantly higher add-to-cart ratio and increased time on page. Sign up now and increase your add to cart rates! Contact our Support Team with your questions, comments, or feedback on how we can keep improving.